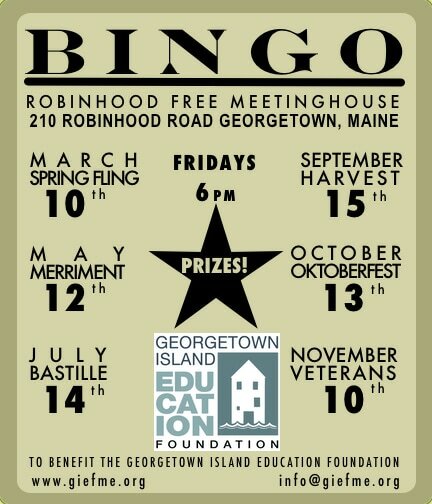 You know you want to play bingo! Come out for a fun night of games and prizes to support Georgetown’s children. Proceeds benefit the Georgetown Island Educational Foundation.